Today from the SEMA and AAPEX shows, I will be taking your automotive questions. If you have a question about a car, car repair, DIYs on your car, Volkswagen, mechanic’s tools, or anything car related, ask it up. 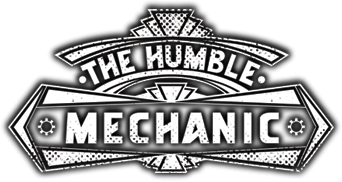 If you have a car question for a show like this, email me Charles(at)Humblemechanic(DOT)com. Be sure to put the phrase “Question for Charles” in the subject. That is the best way to avoid the spam monster. If you don’t get your question on this show, email it again just to be sure. (3:21) ~ What can cause a no start on a Passat? (6:27) ~ Why do my LED headlights keep failing? Trouble viewing? Watch “Viewer Automotive Questions ~ Podcast Episode 168” on YouTube.